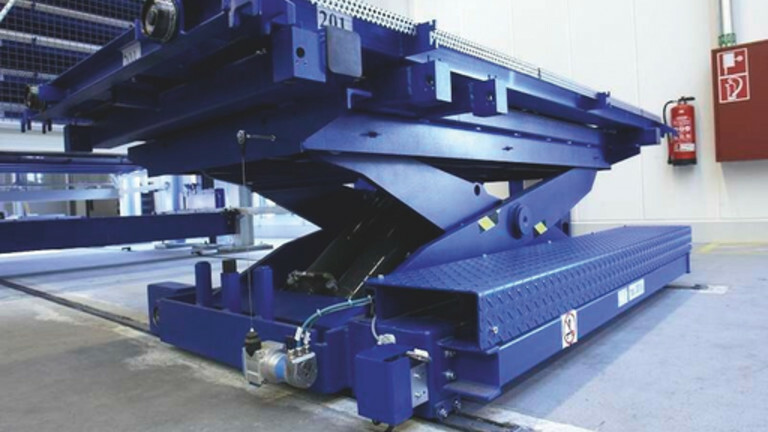 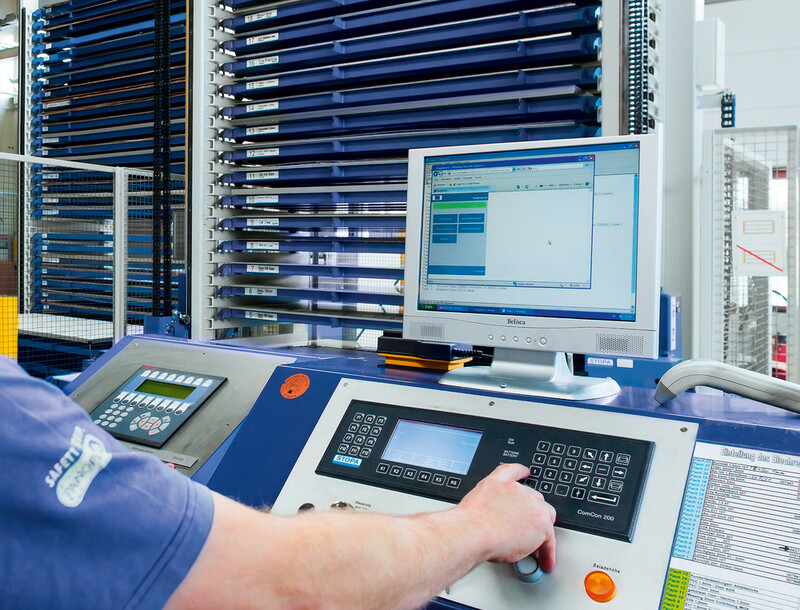 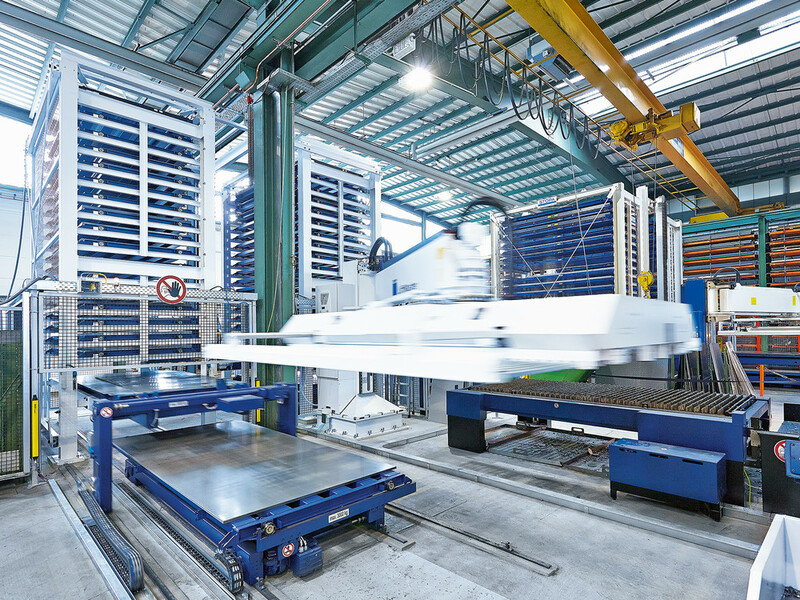 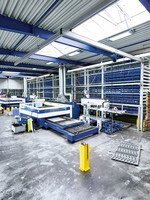 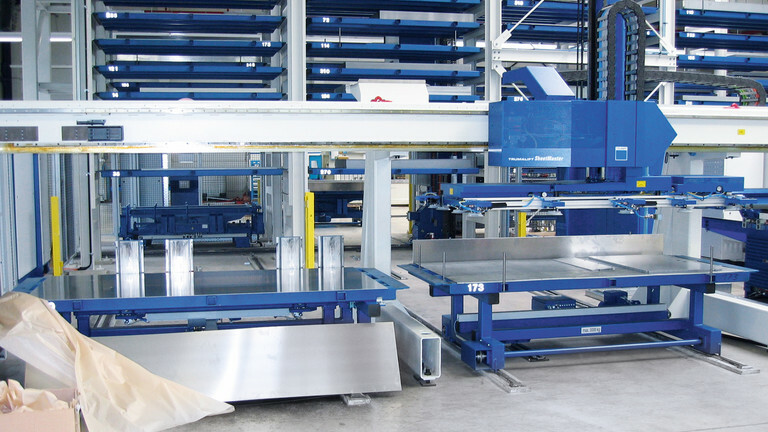 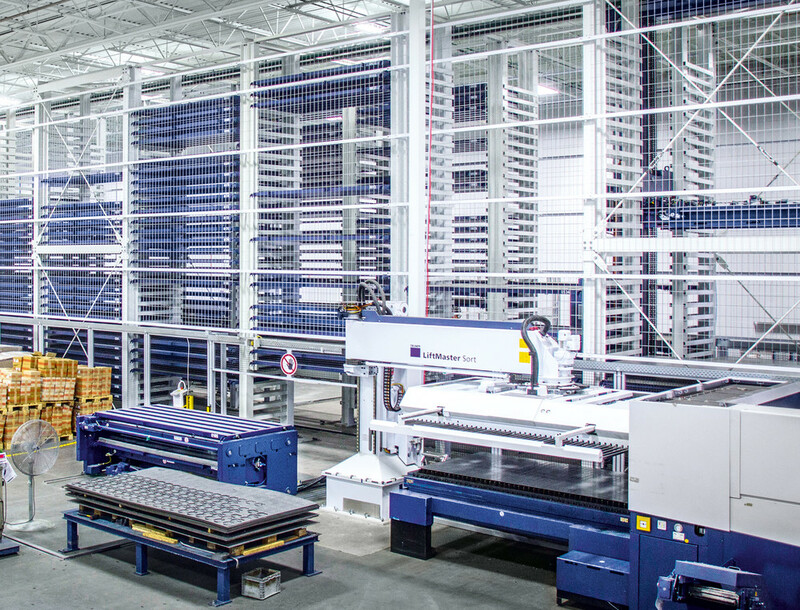 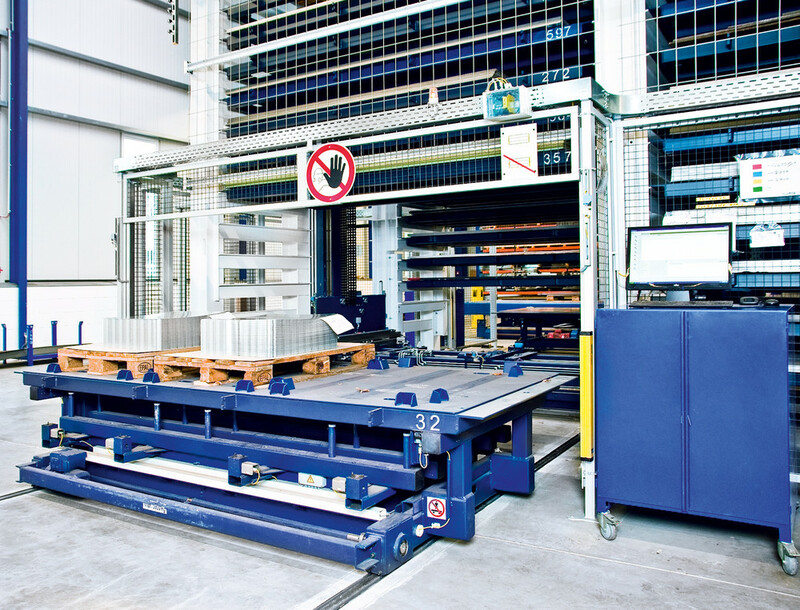 In the sheet-metal processing industry, the flexible supply of materials having different formats and thicknesses is the prerequisite for process optimization. 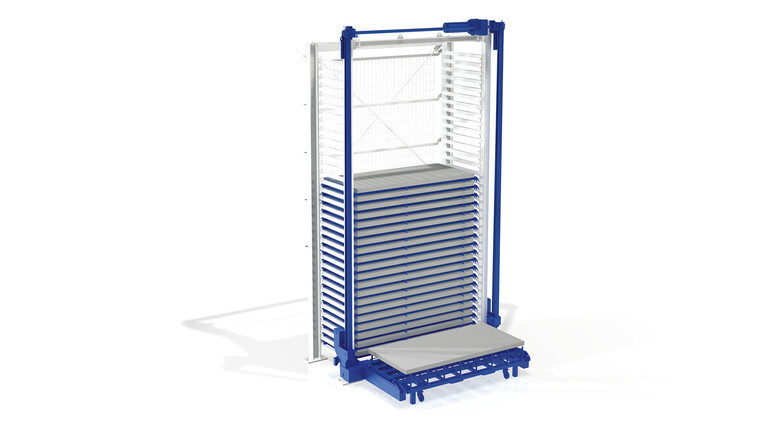 The STOPA TOWER Flex can achieve this task even in confined spaces. 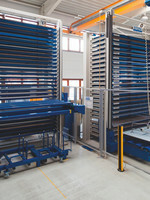 Initially, the system can be installed as a dual tower, or as a single tower with the option of subsequent retrofitting. 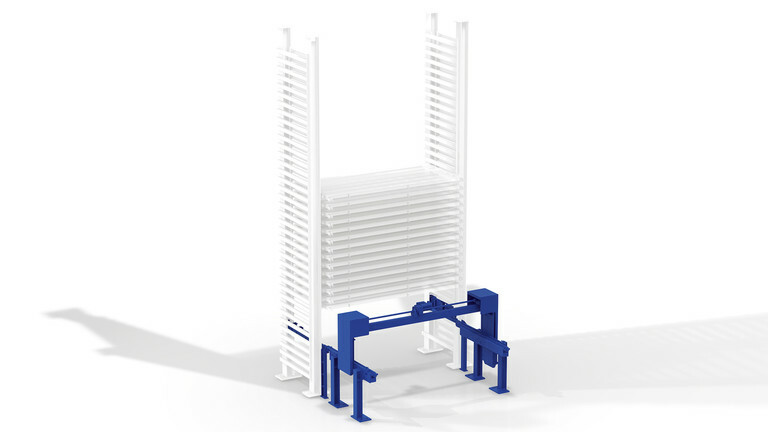 With the compact design of the shelf tower, an economical system with perfect balance between storage capacity and floor space is created. 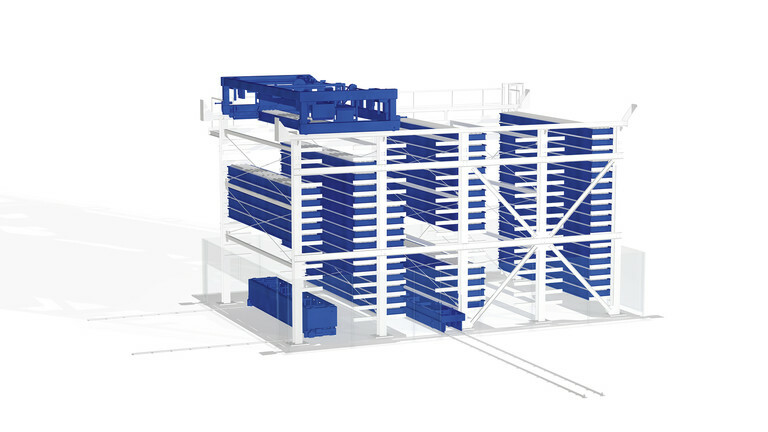 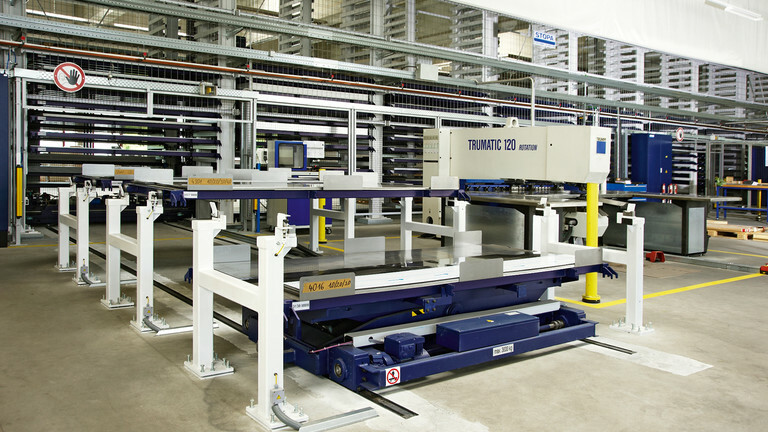 To utilize the maximum available ceiling height, the stacking height of the shelf towers can be adjusted (also available with its own cladding for building-support). 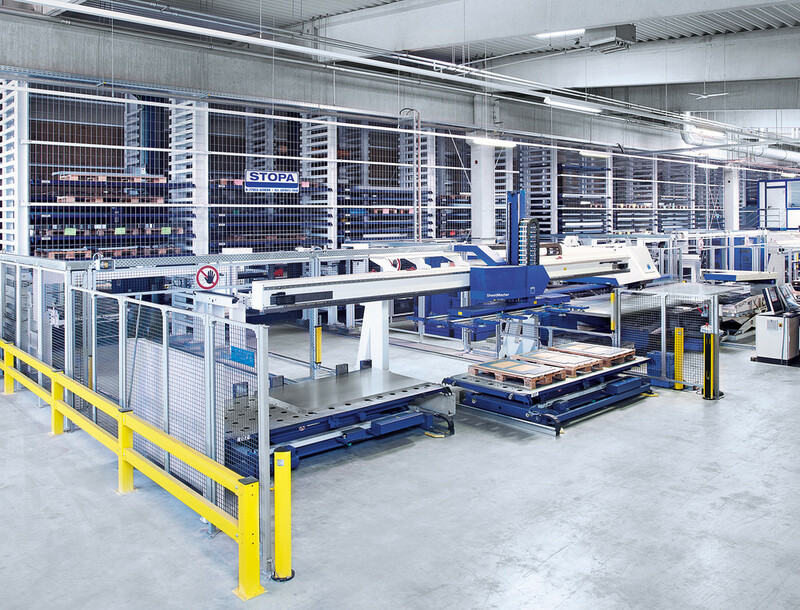 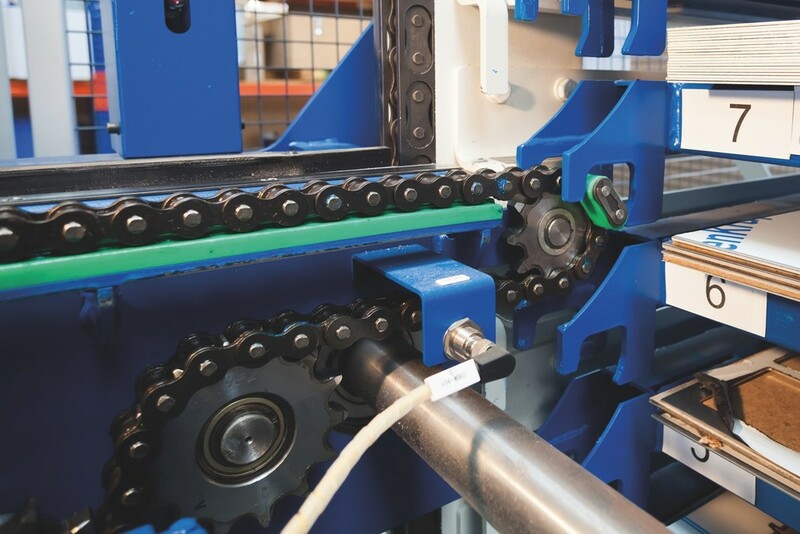 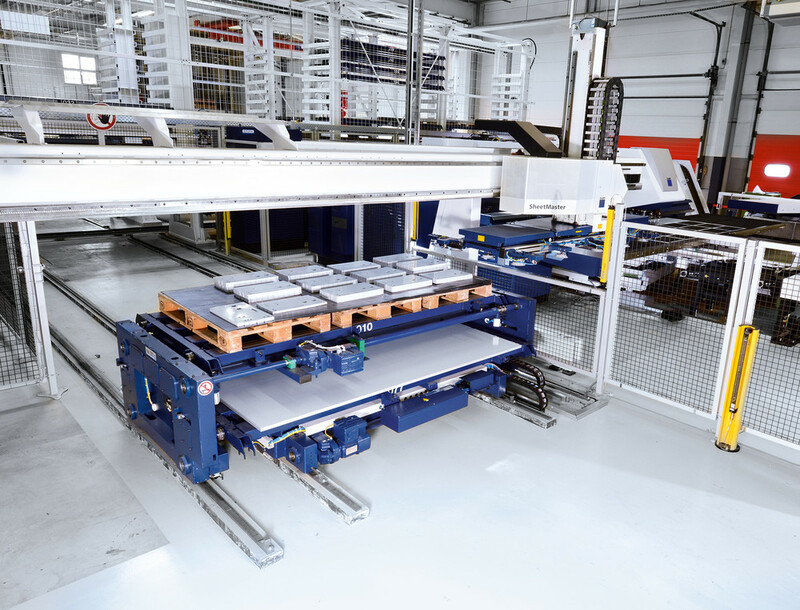 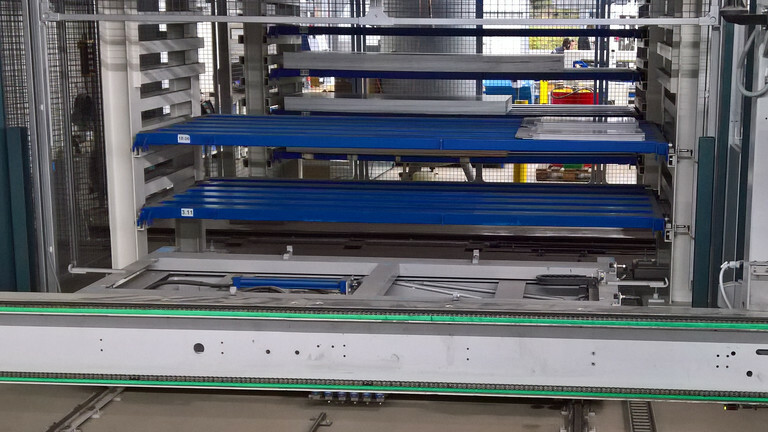 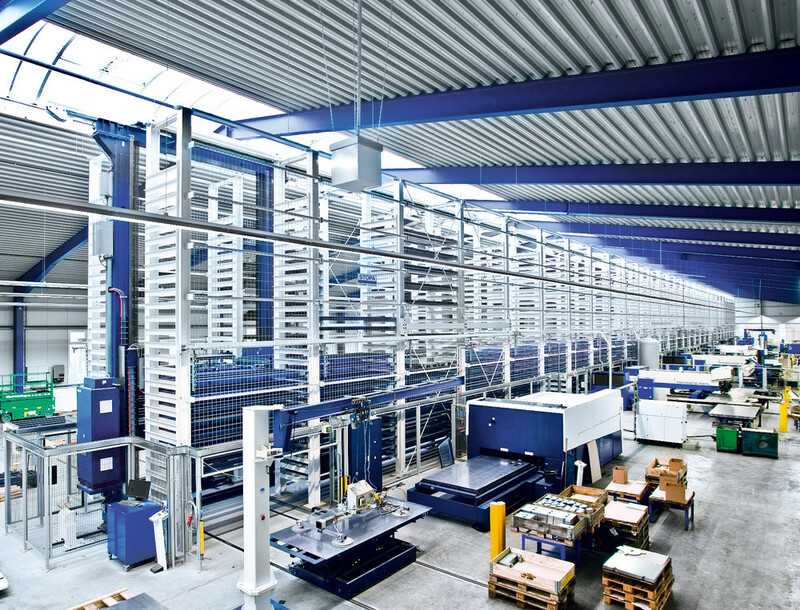 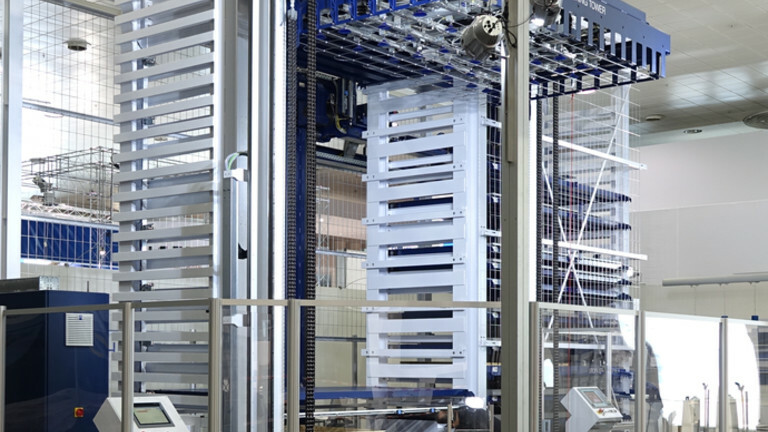 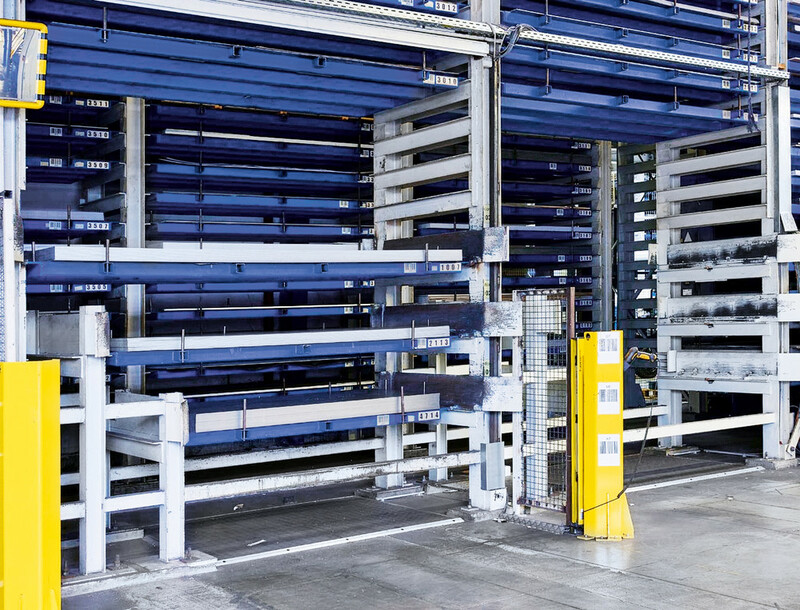 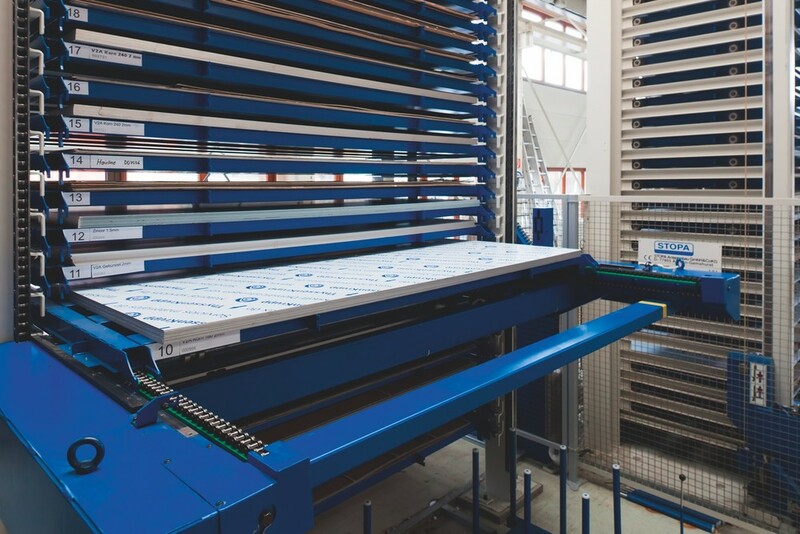 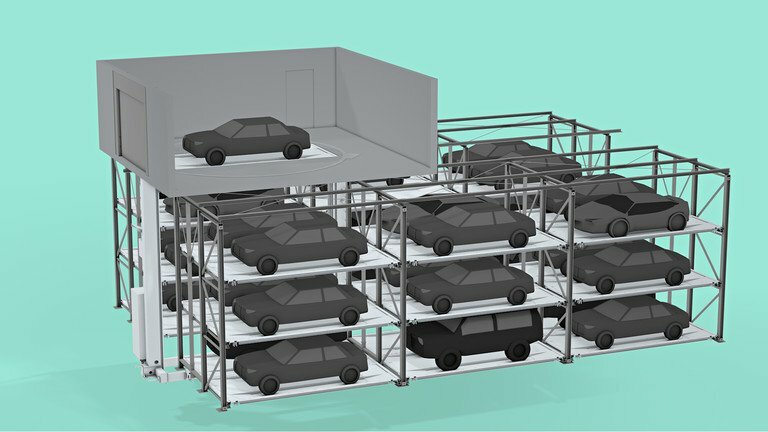 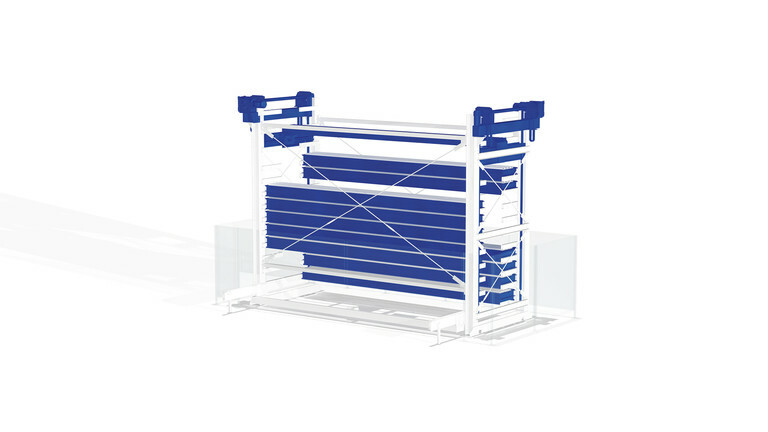 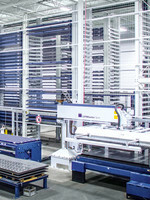 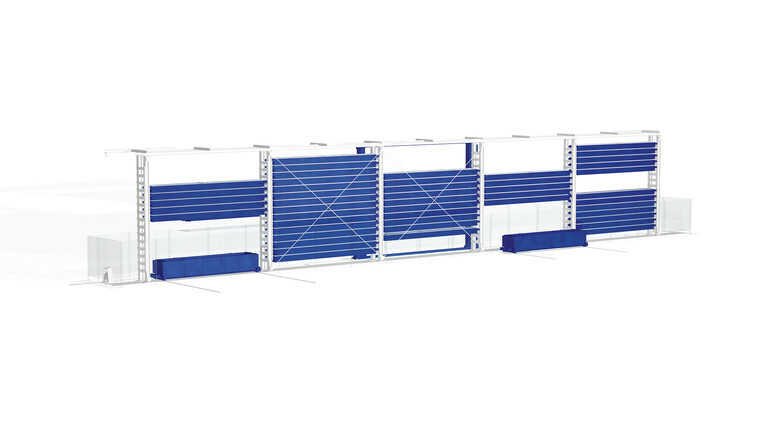 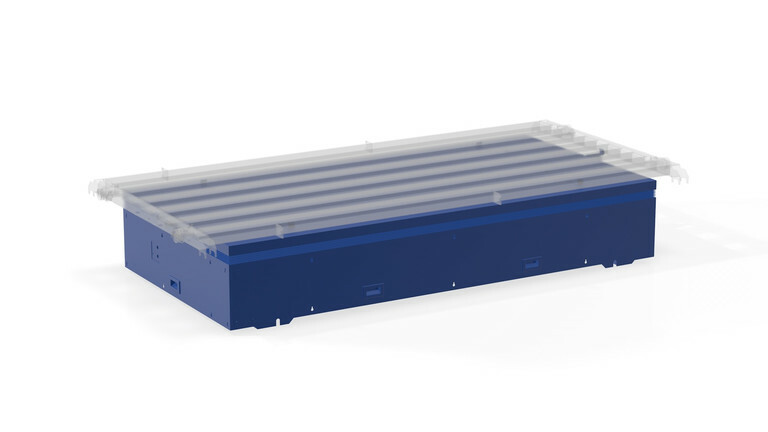 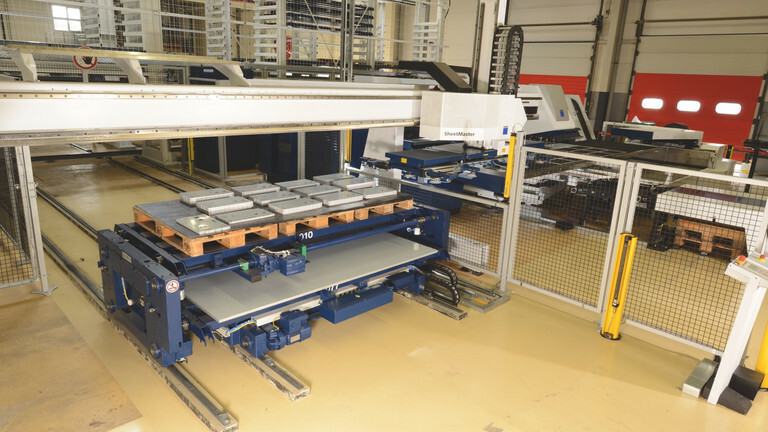 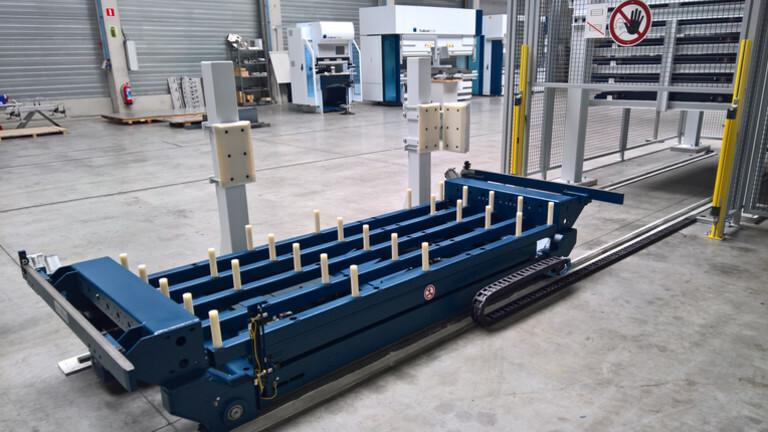 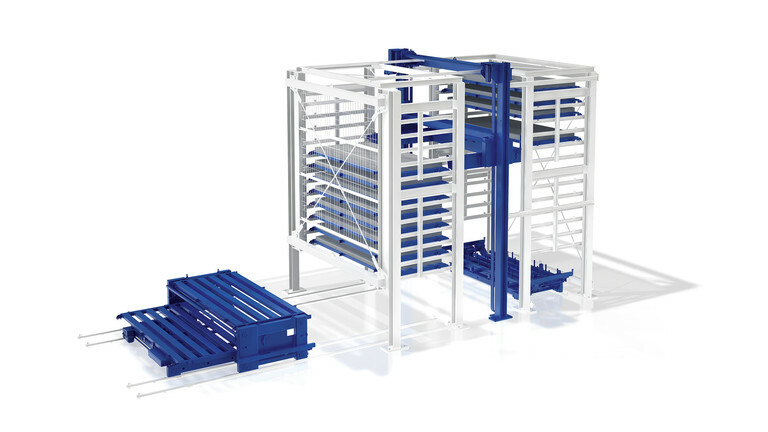 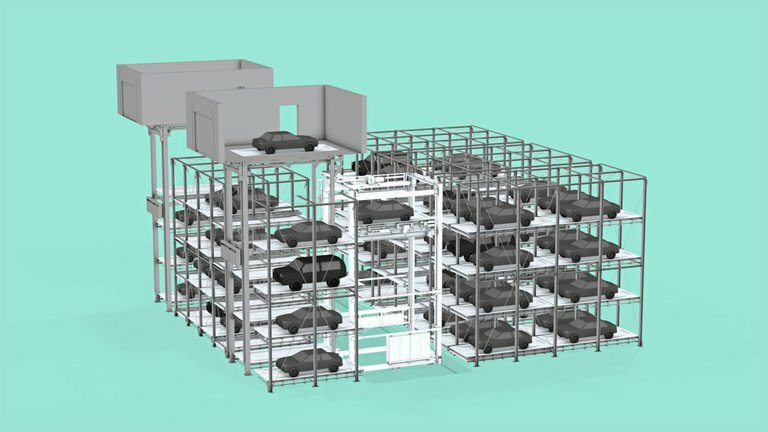 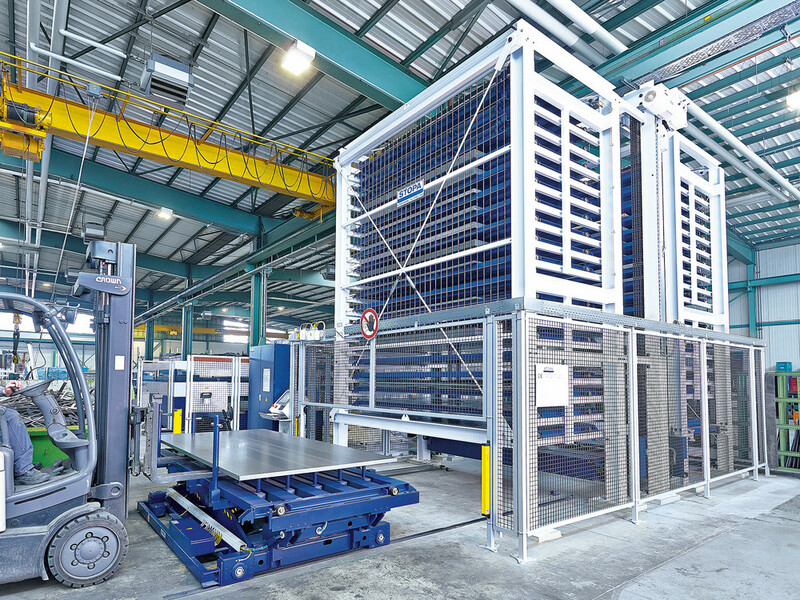 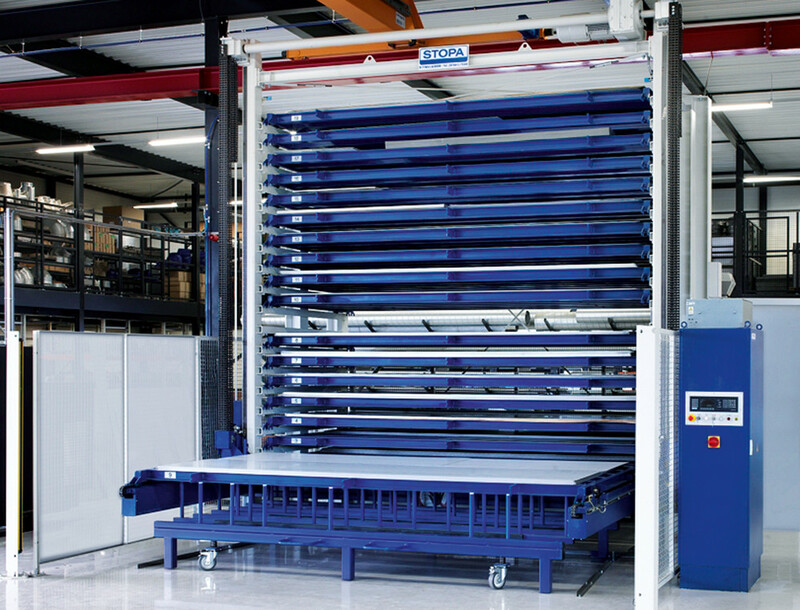 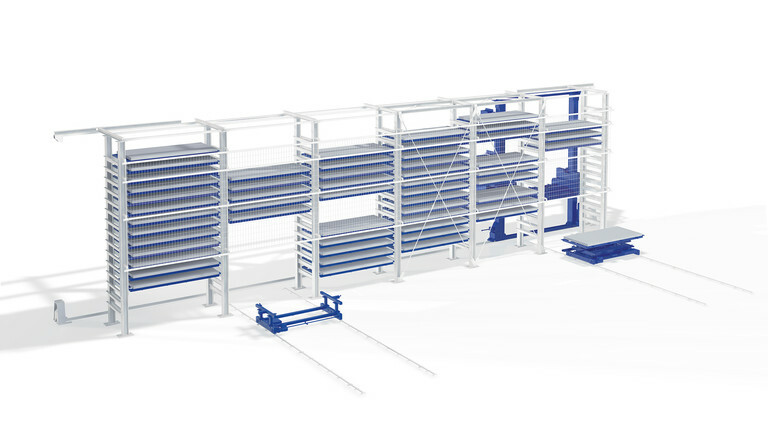 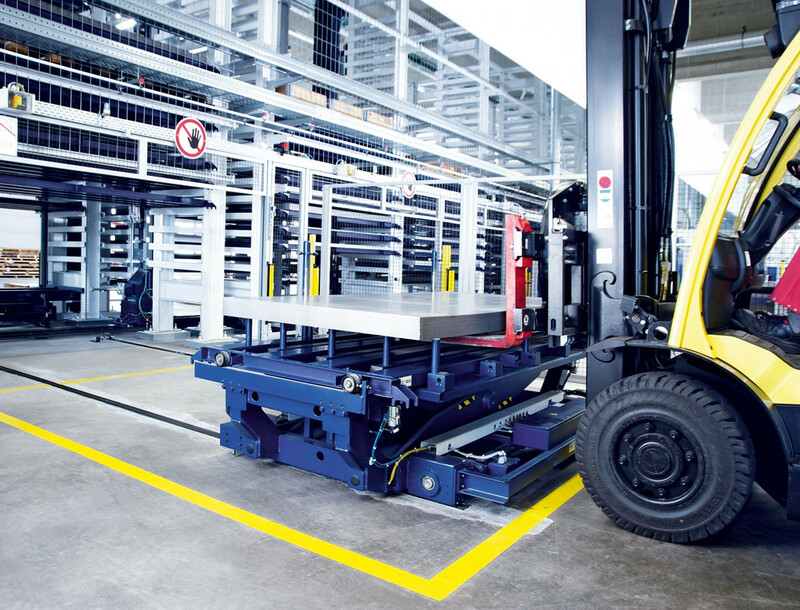 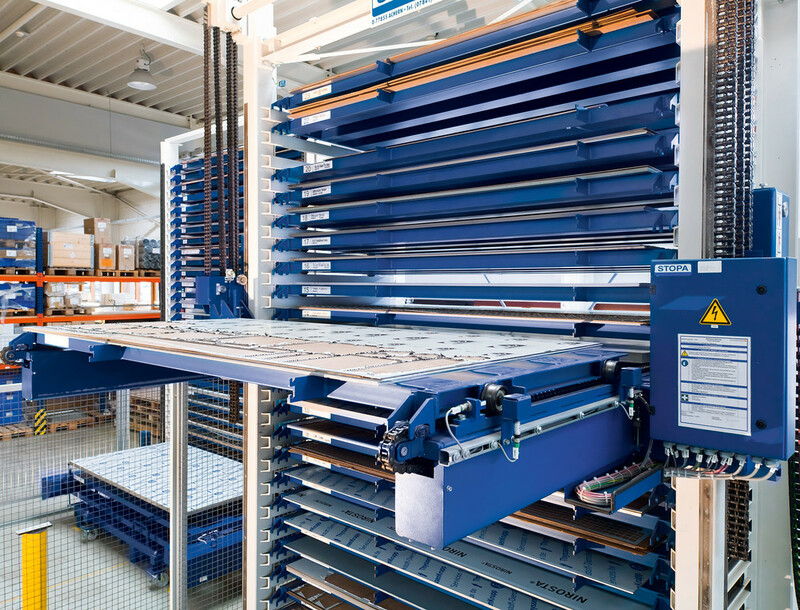 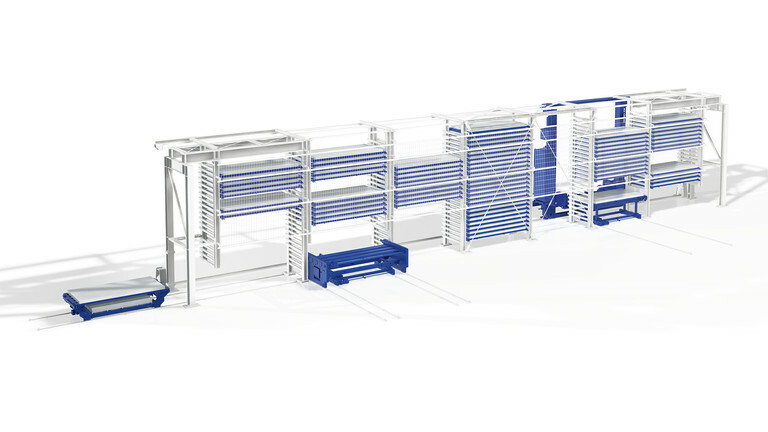 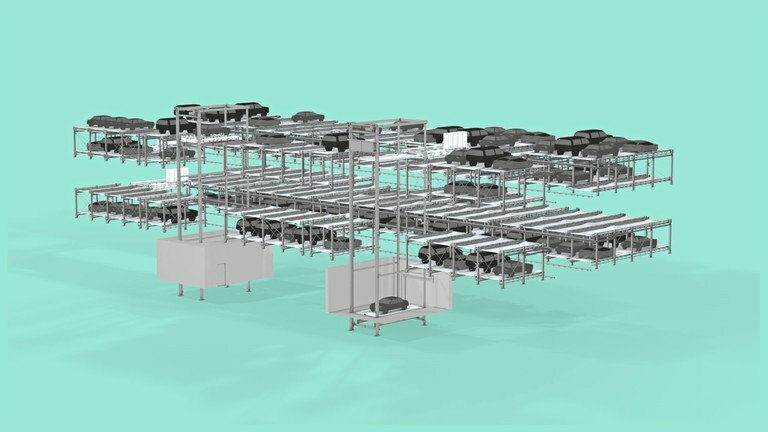 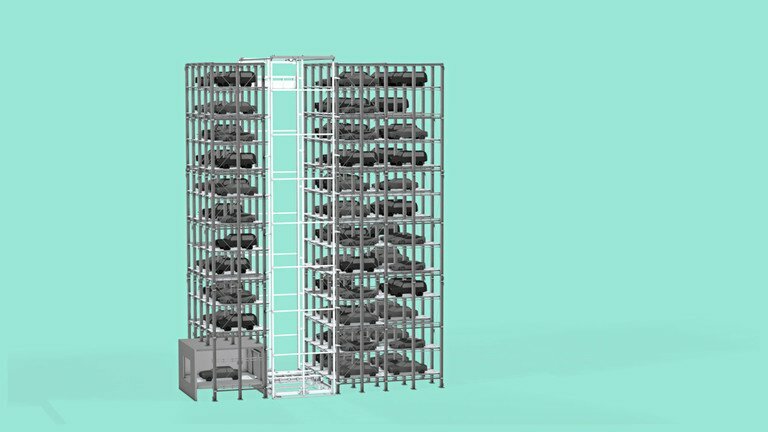 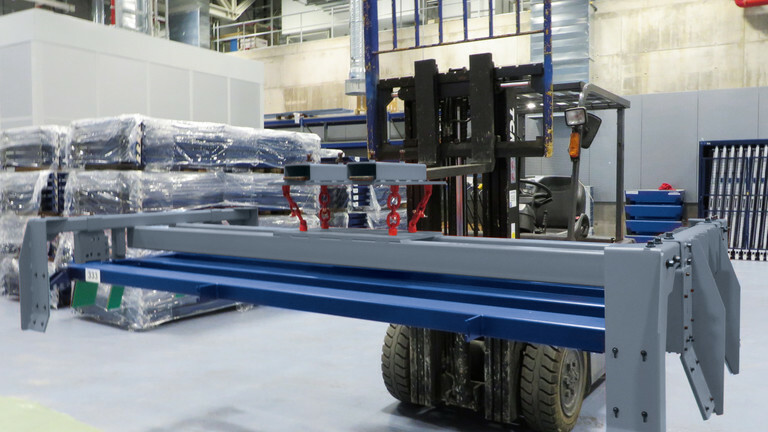 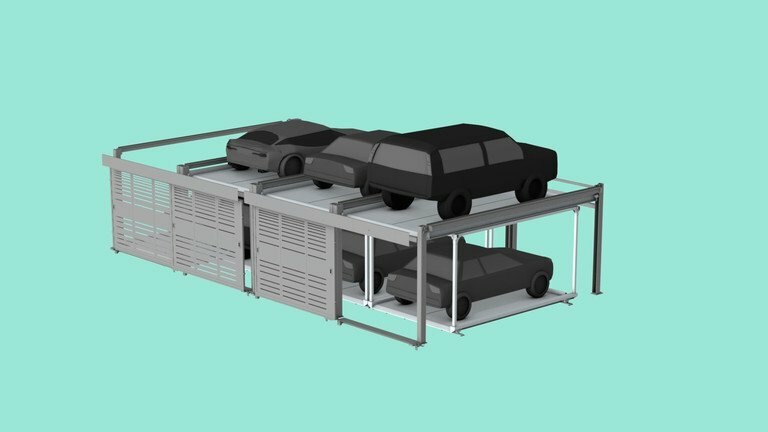 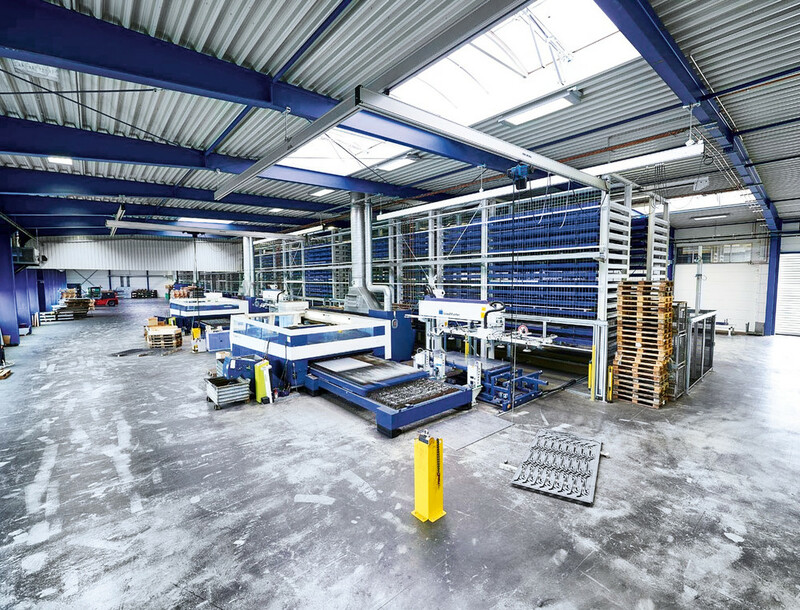 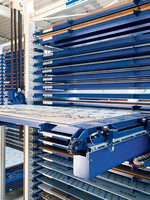 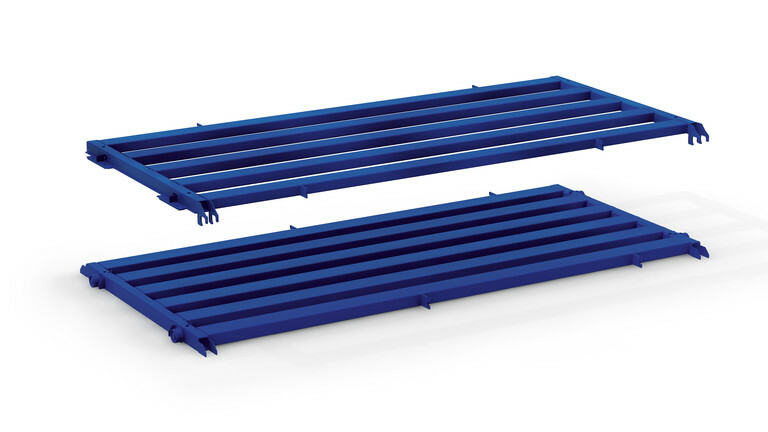 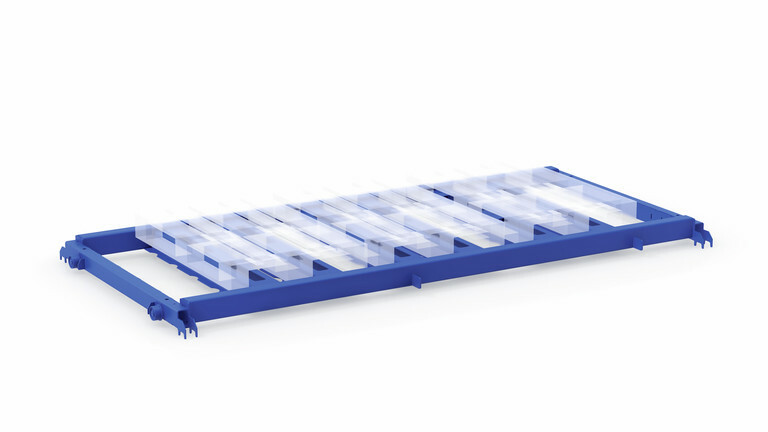 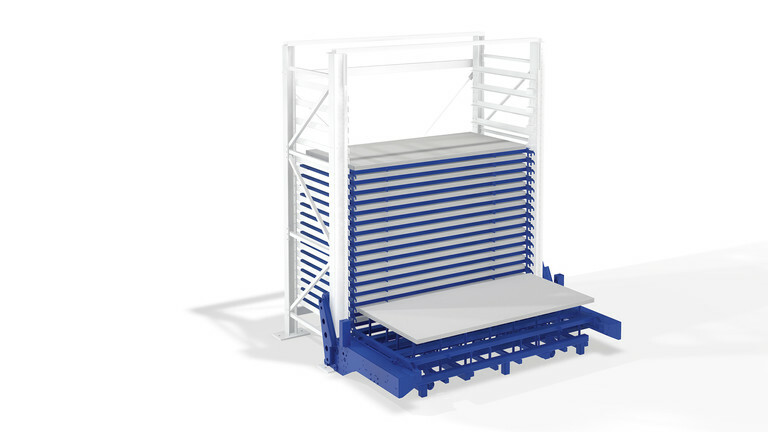 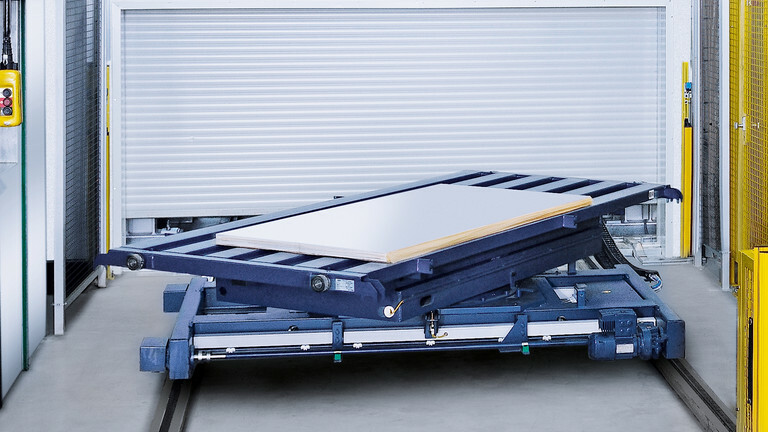 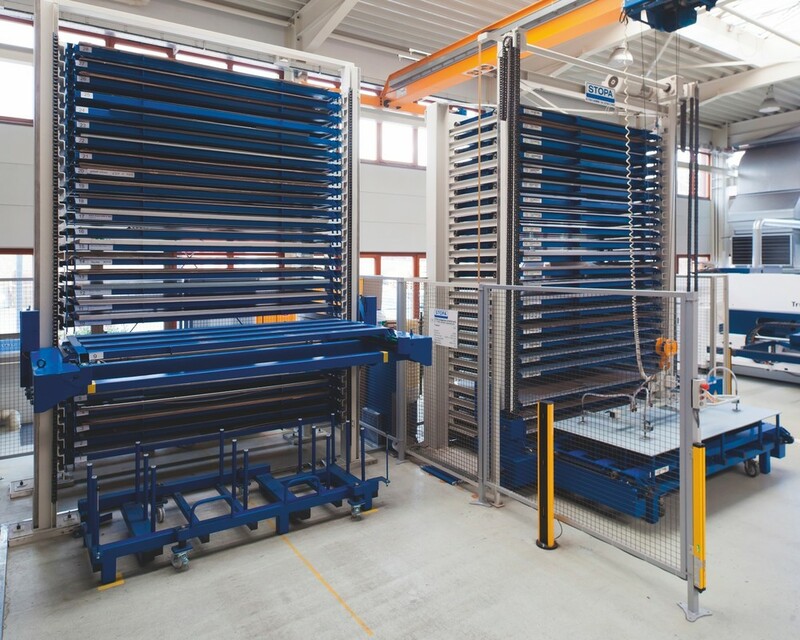 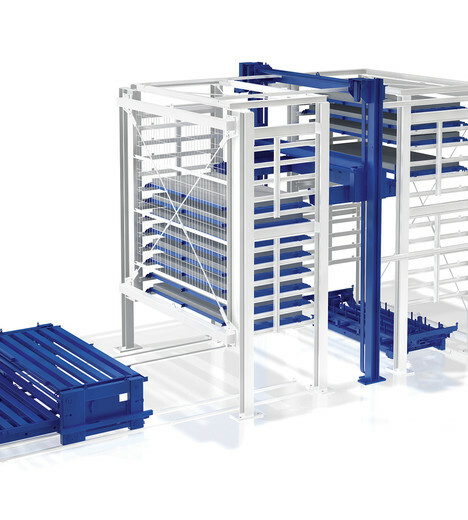 Depending upon your needs, by using different loading and unloading stations, several production machines can be linked to one STOPA TOWER Flex. 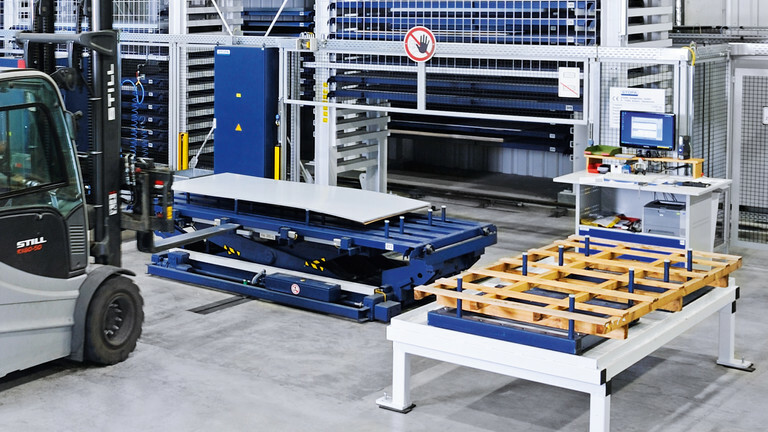 According to customer needs, transport carts and scissors lifts (also in combination) can enter and exit the stations at all openings (on the face and longitudinal sides). 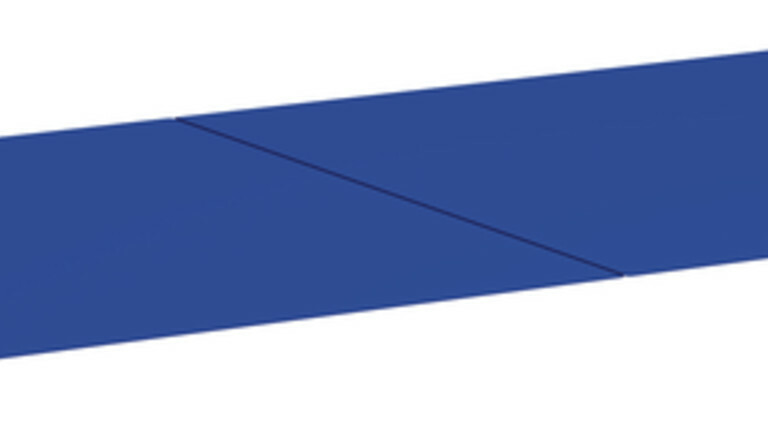 Up to 11 stations are possible.